3 in 1 water filling machine and the packing machines are mainly designed for water and beverage filling and packing. 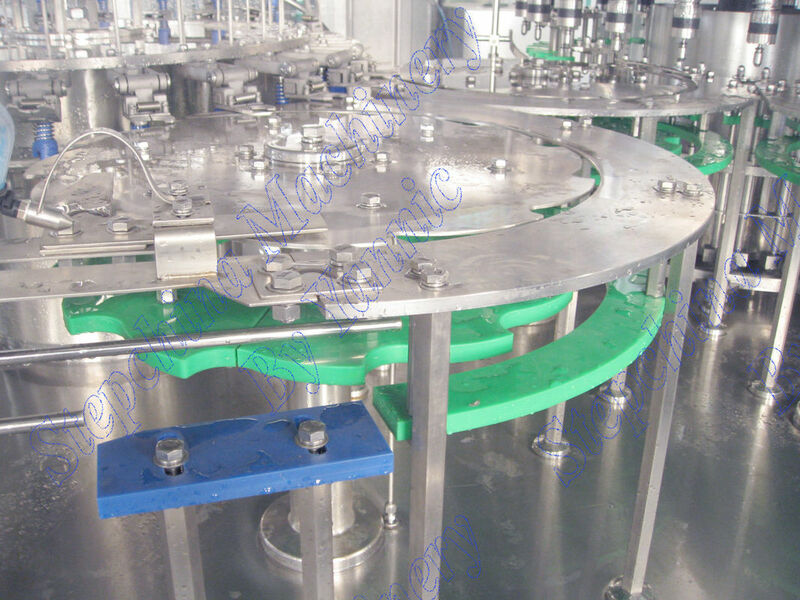 It combines rinsing and filling and capping as one automatic unit,it is suitable for PET or other plastic bottles. The micro-negative pressure filling technology is adopted enabling it to fill more efficiently and more stably with more output than the machine of the same level from others. High automation and easy operation make it an ideal option for beverage companies. 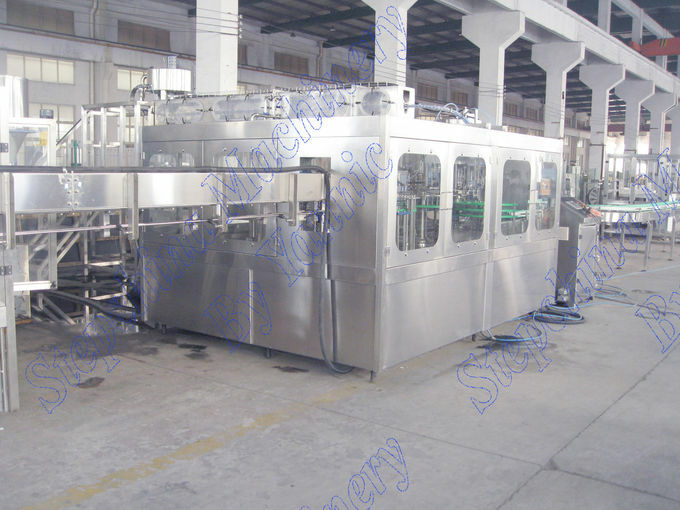 High capacity filling machine all adopt griper for bottle transportation. griper is better than star wheel for high speed rotary running. guard board is not necessary because of steay holding by griper. there is few bottle size changing parts needed during changing bottle size. New type of filling valve with high volume filling double than former filling valve. there is oil-less bearing from Germen Igus ensures steady filling action. there is sensor for checking bottle position and counting capacity showed on touch screen. the strength of capping head is adjustable. we shall adjust the strength to be best for client's cap and bottle during our whole line testing in our workshop. there is nylon size changing part for different bottle size. this is the only part you need to change with different bottle size. 1. 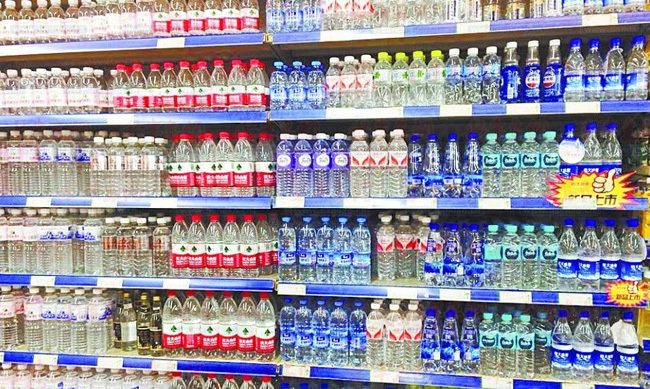 Bottled mineral water production. 2. Bottled purified water production. 3. PET bottled water package. 4. PET bottle oil package is also avaliable.